Setting the Lineup for Every Game - Sports Mogul, Inc. Play One Day will sim all the games for that day. But you don't need to sim each individual game to have control over the lineups. Turn on Commissioner Mode (in the upper left corner of the "Options" dialog in the Tools Menu). This gives you control of every team, and the computer manager won't alter the lineups you set for each team (unless someone is unable to play due to injury). Go to the Calendar Page and right-click on any three games. This will trigger a popup asking you if you want to select all games for Play-By-Play Mode. Click More Options' and then click Yes. This selects all games for every team. 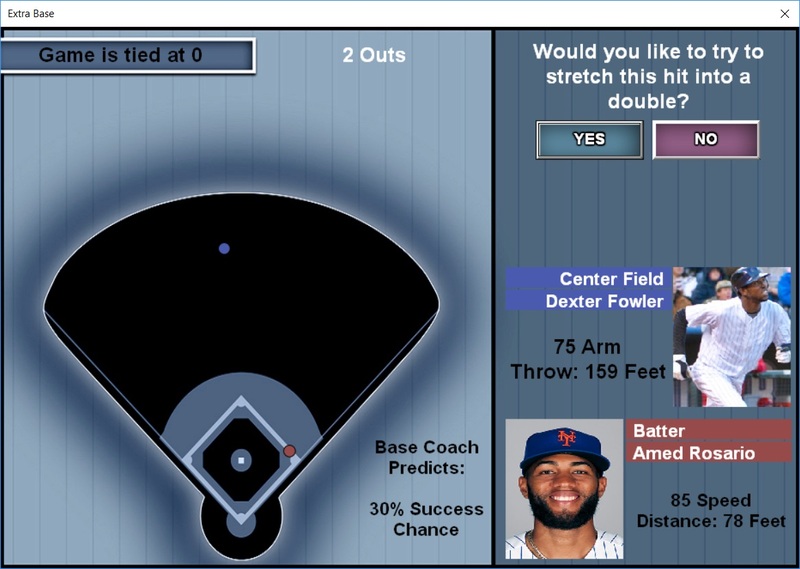 This will cause all of the day's games to be opened in Play-By-Play Mode, with the ability to choose the starting pitcher and starting lineup for both teams at the beginning of each game. If you want to sim the game after you've specified the exact lineup, click Finish in the upper right. 2 will you ever produce football and basketball for mobile. I really enjoy the baseball have all the seasons like the thinking aspect as opposed to arcade. You have market to yourself and with increasing mo I’ve use the field is all yours. You guys are great. 1) Scoring from second on a single. 2) Scoring from first on a double. 3) Going from first-to-third on a single. 4) Stretching a single into a double. 5) Stretching a double into a triple. 6) Stretching a triple into an inside-the-park home run. The display shows you where the runner and fielder are exactly at the moment the ball is fielded, and your coach gives you his estimate of what the odds are of advancing safely.